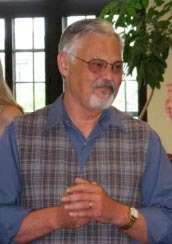 Ken Lohrentz was the Africana Bibliographer for the University of Kansas for twenty three years from 1984 to 2008. Ken received his PhD in history from Syracuse University in 1977. He has dedicated his work to the Africana Collections at KU – 78,000 volumes of African fiction, poetry, drama, non-fiction, maps, newspapers, and periodicals in various languages. Ken was also one of the founding members of MAAAS. The Ken Lohrentz Graduate Paper Award was established in 2007. The first award was presented at the 2007 MAAAS Conference held at the University of Kansas. We invite graduate students from any field in African Studies to submit a paper for consideration for the Mid-America Alliance for African Studies (MAAAS) Ken Lohrentz Graduate Paper Award. Due date for consideration is October 2, 2017 at 5:00 PM CDT. Include your full name, contact information and your graduate program name on the title page. Papers may be no more than 30 pages, double spaced using size 12 font minimum. Conference attendance is mandatory to receive this award. Make certain you submit your registration form and payment. Awards include one first-place award of $100.00 and two honorable mention awards. Winners will be announced at the 2017 MAAAS Conference, October 20-21, 2017.